Day 5 and still we dance at Cues & Tattoos. 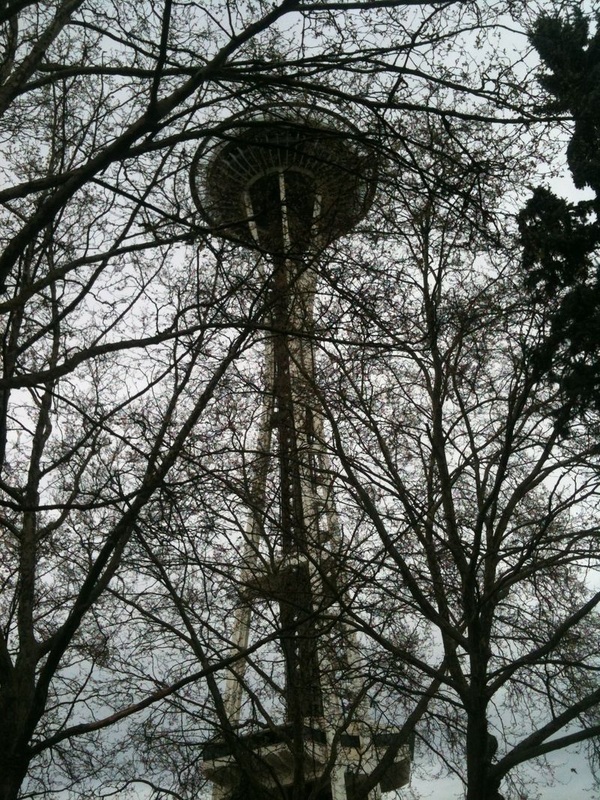 Til next time, Seattle! Although I intended to post each day from Cues & Tattoos, the days were super full, not so much downtime at all. And now its my last night here, and I left the air bnb we stayed in and moved along to City Hostel in Belltown. Laura and I went to the Highline Pub, as tradition dictates, and ate vegan pubfare (luckily there was a very special night called VHS Uber Alles and we watched terrible 1980’s infomercials and a budget horror movie). Laura left for the airport and as I stay another night, ruminating on all the new movements and combos. I’m sure a few new neural pathways were forged in the past five days. Between the workshops, the Serpents Muse stage, the instructors showcase, the afterparty, the vending area and sleep, the days flew by. I meant to take more pics but here’s what I’ve got so far between what I took and what I’ve found on the festival facebook page. 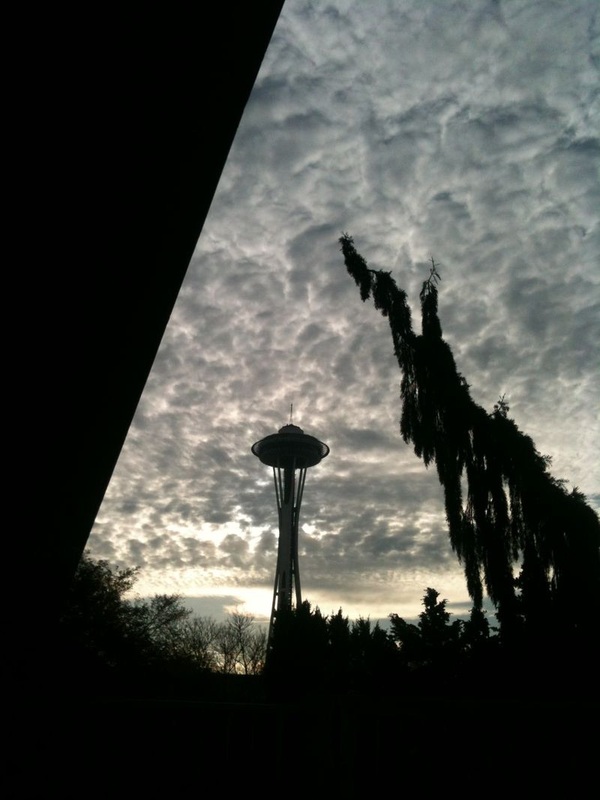 Space needle through the trees at sunset? 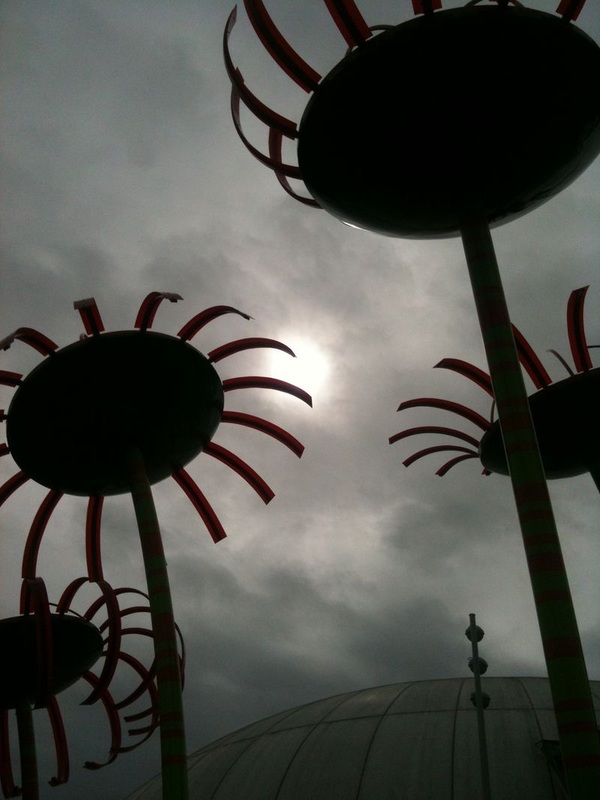 Or giant sky bunny staring down sky mushroom? You decide. 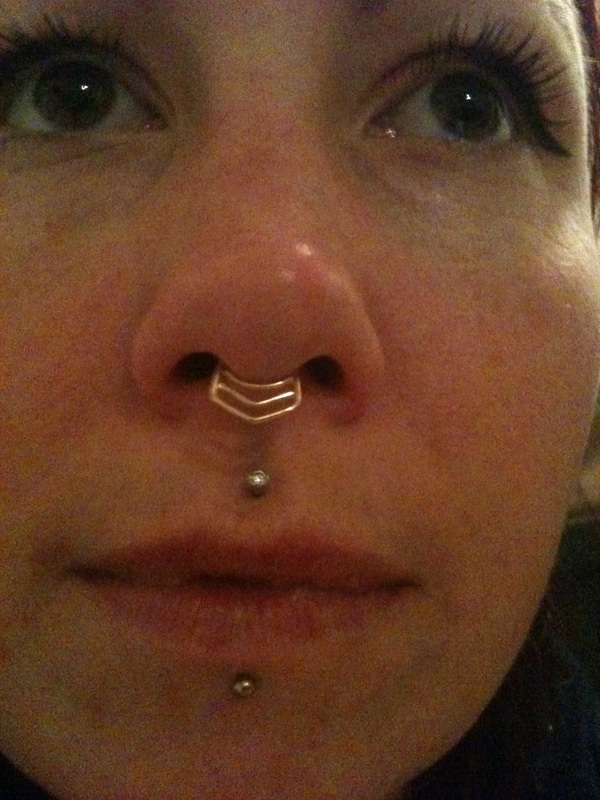 My new septum jewellery from Aprils Blissed –maker of beautiful things. I’m in love with the geometric pieces! 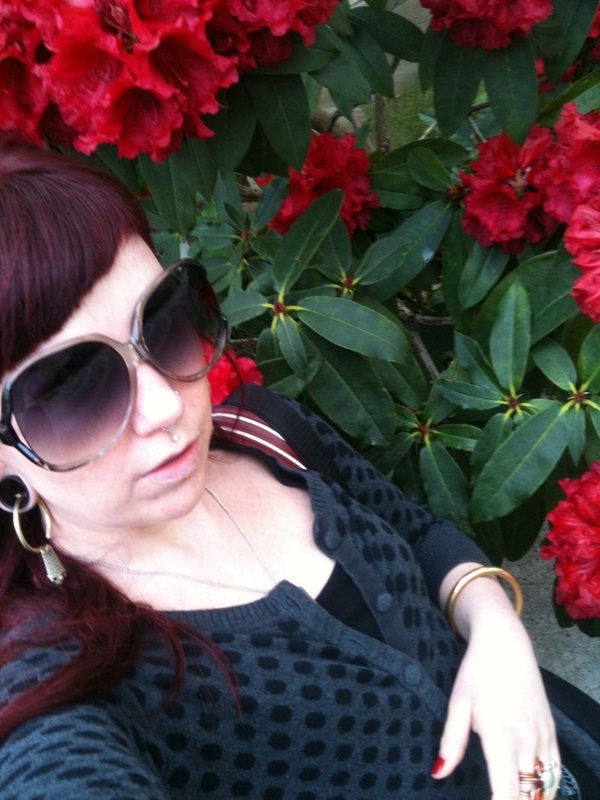 I’m happier than I look in this photo, to be around flowers in full bloom. I have left the festival with a lot of new material to explore, its always such a whirlwind of information and tonight I will spend some time organizing the material so I can go over it on the trip home. 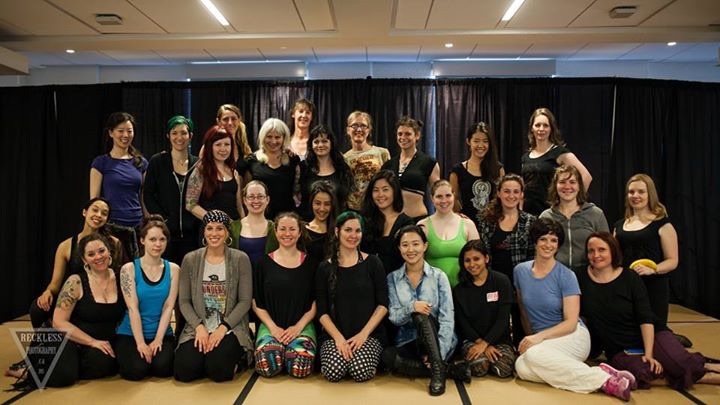 I’m already looking forward to next year and Serpentina North plans to apply to perform at the Serpents Muse stage –it was nice to be remembered from our performance last year! 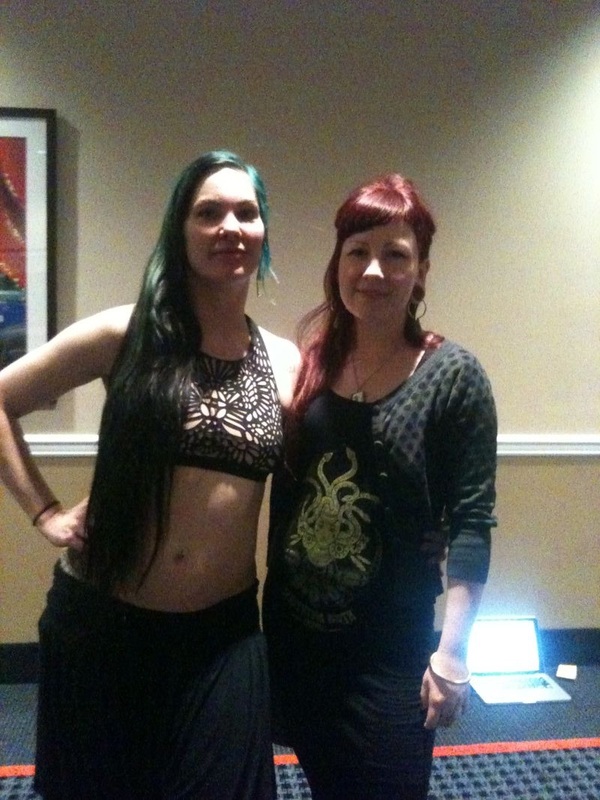 So bellydancer friends, who’s in for the Toronto contingent next year? Next Post Curiouser and Curiouser.